Groundwater monitoring wells are necessary to determine water quality, flow characteristics, and flow direction at petroleum storage tank (PST) release sites and other sources of petroleum releases. To accurately determine the direction of groundwater flow, water level measurements must be measured to a standard datum so elevation data collected at one site can be related to elevations of nearby features. An Environmental Easement, or EE, is generally required by the New York State Department of Environmental Conservation for sites in the state Superfund and Brownfield Cleanup programs where there are ongoing institutional and/or engineering controls included as part of a remedy for the site. The EE is granted by the property owner of the site in favor of the NYSDEC. Here at Rampa Land Surveying we help you get in compliance with the NYSDEC by preparing a Detailed and ease to read Environmental Easement Survey report. This survey shows more detail than other surveys, providing necessary information to approve the sale or transfer of a commercial real estate. It is very common for insurance companies, title companies and lenders to request an ALTA/NSPS Land Title Survey, especially in the event of a sale, refinancing or transfer of a parcel of commercial property. 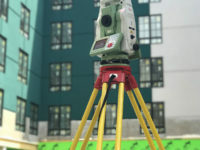 Our survey will meet the latest MINIMUM STANDARD DETAIL REQUIREMENTS FOR ALTA/NSPS LAND TITLE SURVEYS. We will be glad if you contact us to clarify any issues by e-mail, phone or text.